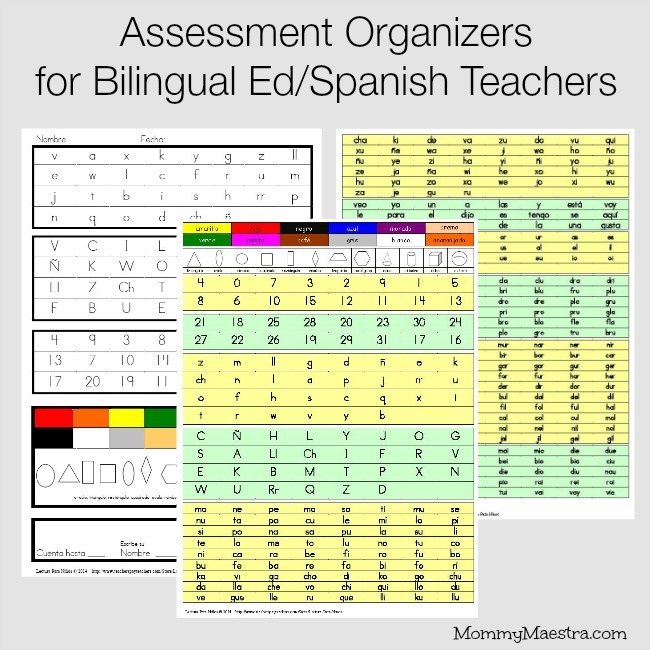 May's freebie from our sponsor, Lectura para niños is a set of assessment organizers for Spanish (bilingual ed) teachers! I have an assessment that I use throughout the year. The first assessment, I write on this paper and keep it for their portfolio. I transfer their data to the scoring assessment page and from then on assess monthly for progress throughout the year. Once they have mastered, I only assess the areas of need. The other is a page that I keep in the homework folders for the kids. I tell the kids if they have time, they can practice this page for fluency. I do NOT expect them to read the entire page at once, only little by little. At the end of the year, most students are able to read both pages (back to back) within 10 minutes or so. I hope your readers like this!